Amit Dhand is the Founder of NAILBITER, the first quant survey platform developed exclusively for video market research. He has a strong track record of implementing Behavioral Sciences into new technology to help marketers make smarter brand decisions. 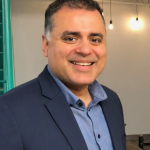 Previously, Amit held executive positions at Symphony AM (new cross media measurement platform) and Affinnova (optimization engine – now Nielsen Innovation) where he was critical in developing go-to market strategies for new data platforms and convincing top global brands to adopt new metrics to measure their progress. Amit has lived, worked and managed large teams across the US, Europe, and Asia. He has a B.Sc. in Physics from the University of Mumbai and an MBA from Virginia Tech. He currently lives in New Jersey.